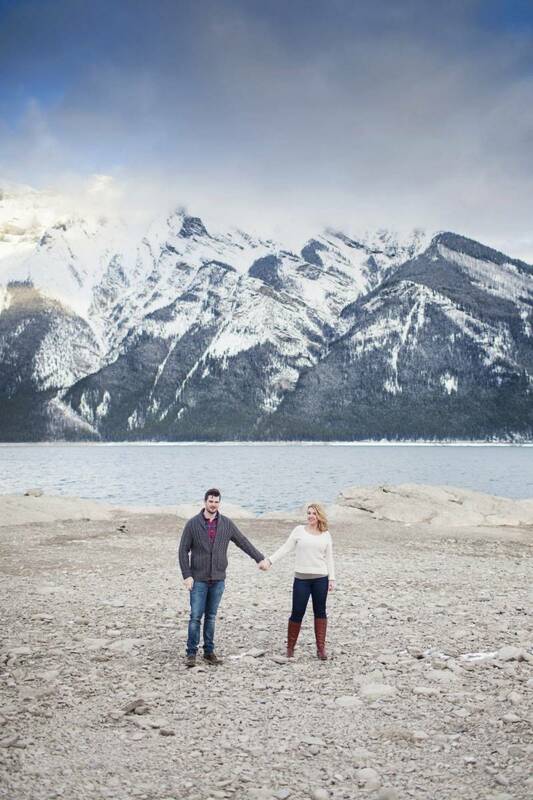 Jane and Daniel wanted snow for their engagement photos (since the Rocky mountains truly look the most glorious covered in a luxurious blanket of white snow). 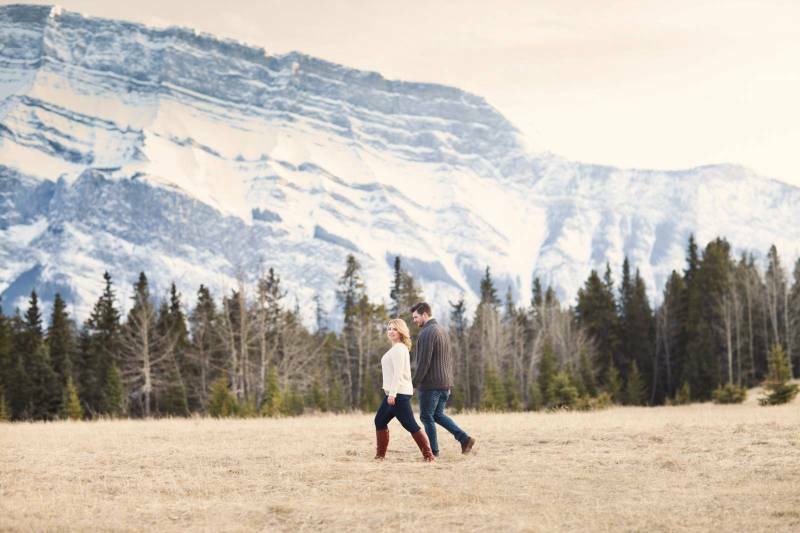 Unfotunately it was a mild year with very little snow and an early melt but Jane and Daniel managed to get some snow the weekend of their Banff engagement session, a dream come true for these two lovebirds! 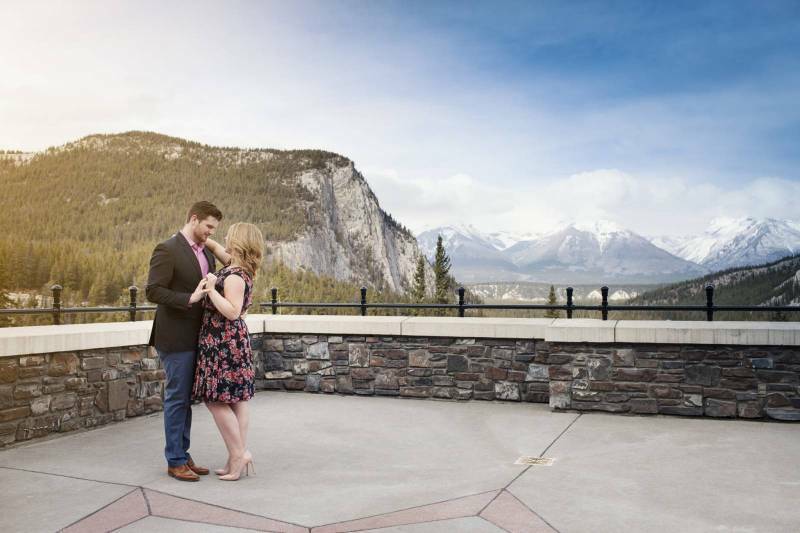 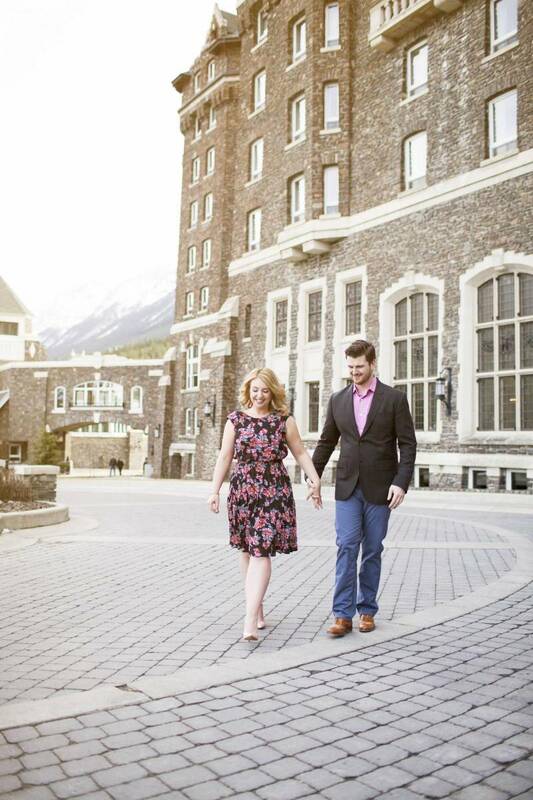 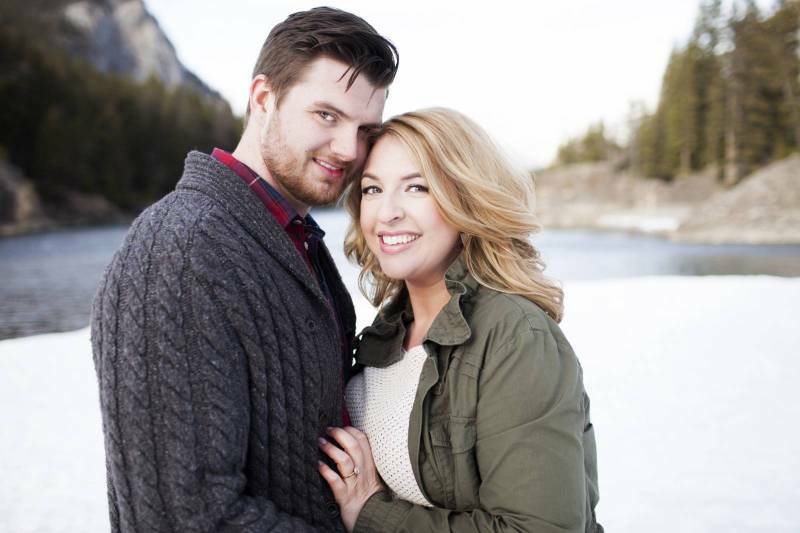 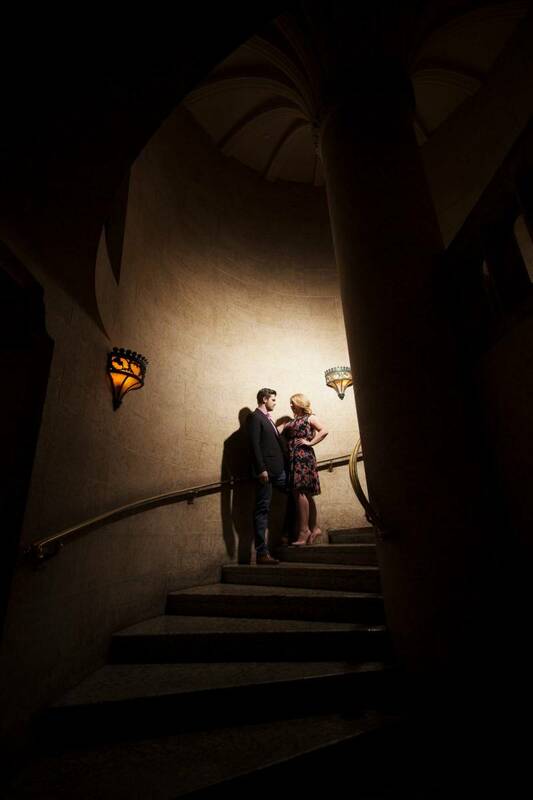 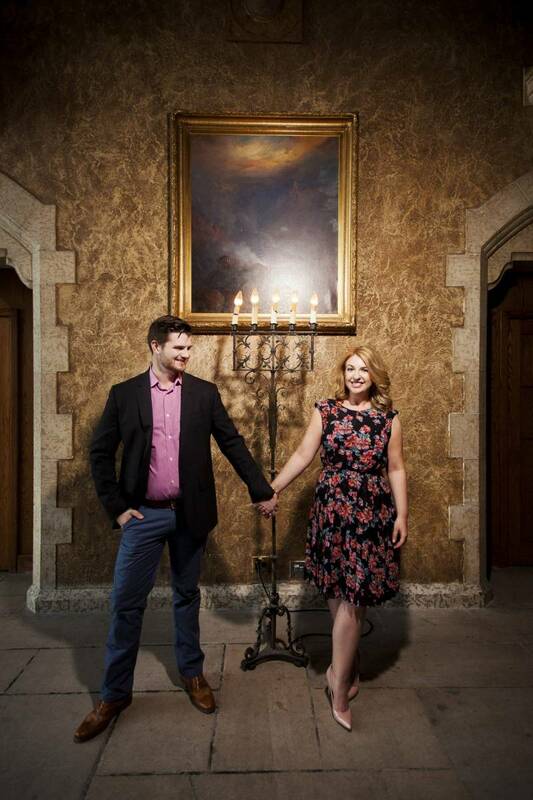 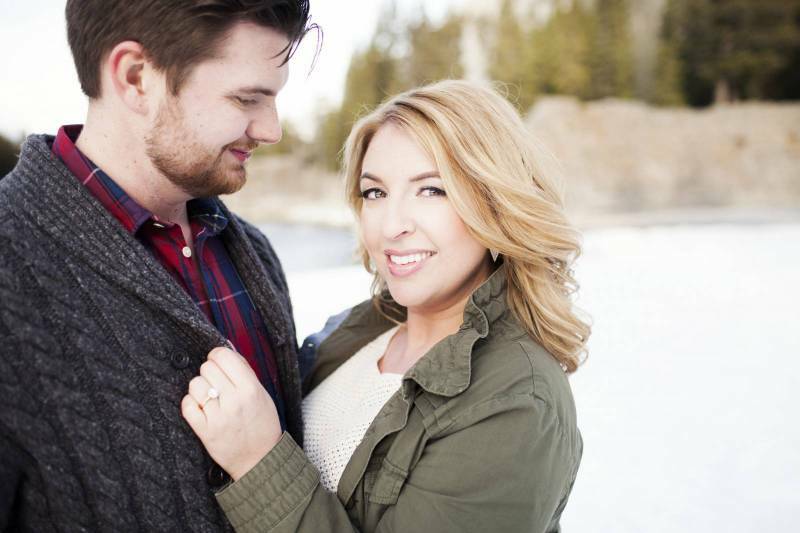 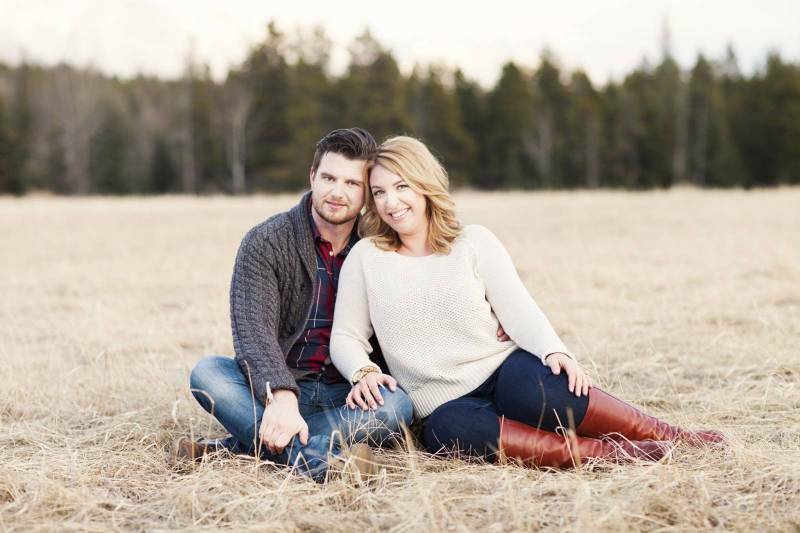 Working with their photographer, Dean Pictures, Jane and Daniel combined the rustic beauty of Banff with the luxury of the castle in the Rockies (The Fairmont Banff Springs) for their Banff engagement session. 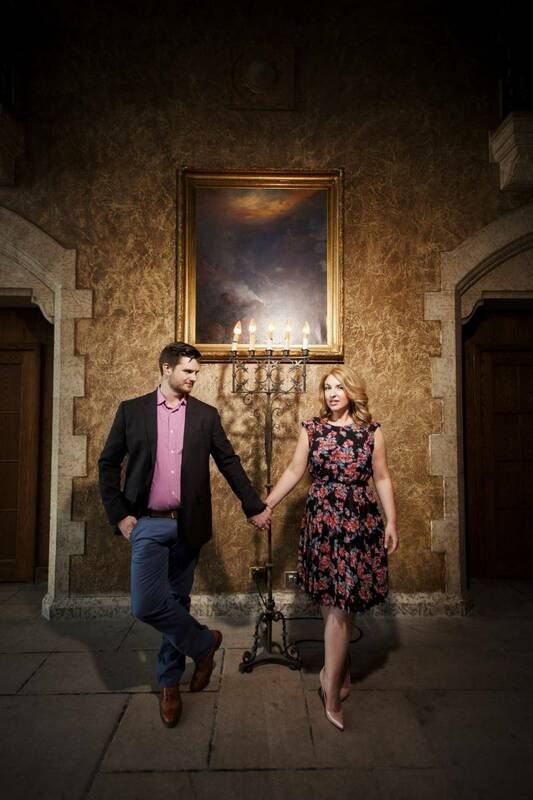 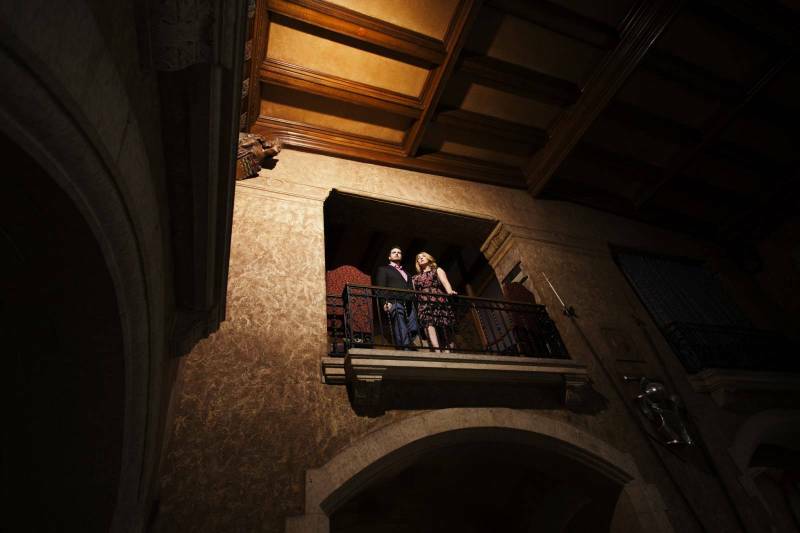 They started with a series of gorgeous outdoor engagement photos set against the mountains and crystal blue waters, and then moved indoors for a dark and elegant series of photos set against the golden walls of the castle. 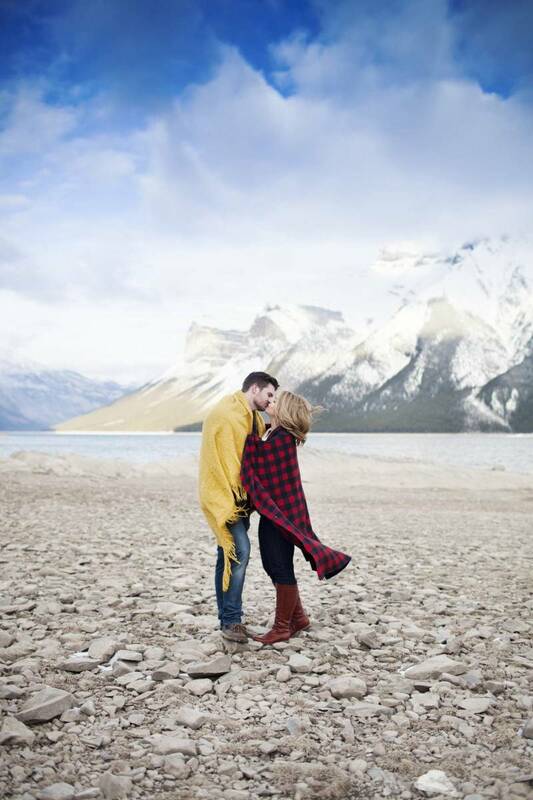 All of the beautiful photos are by Dean Pictures based in Calgary, who you can quickly tell is a talented wedding photographer, but you might not know that they also have a portrait on display at the Louvre right now. 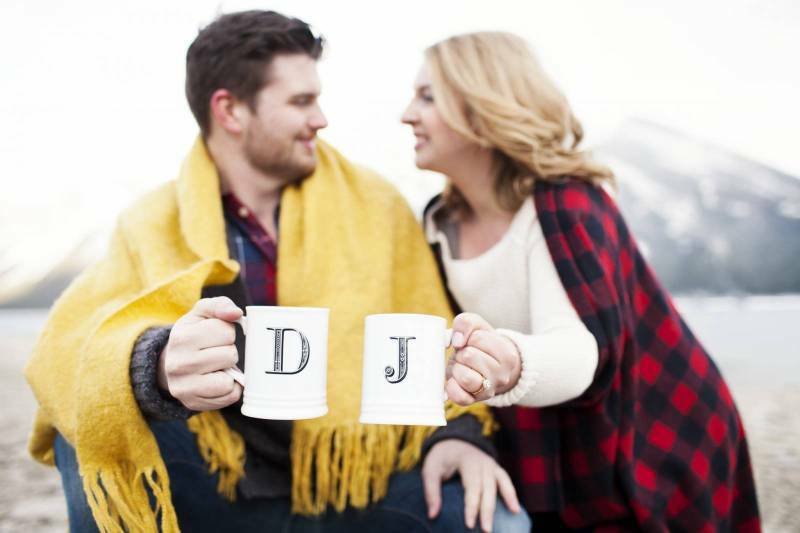 Cheers to local talent and Dean Pictures!!! 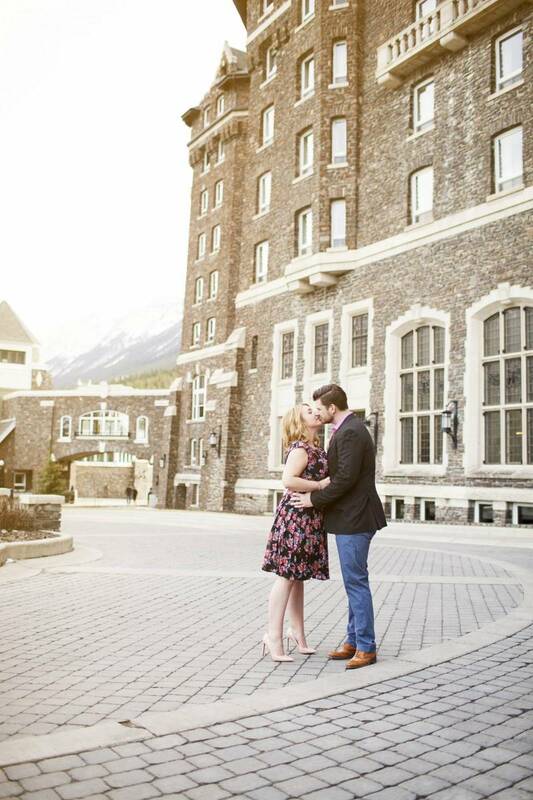 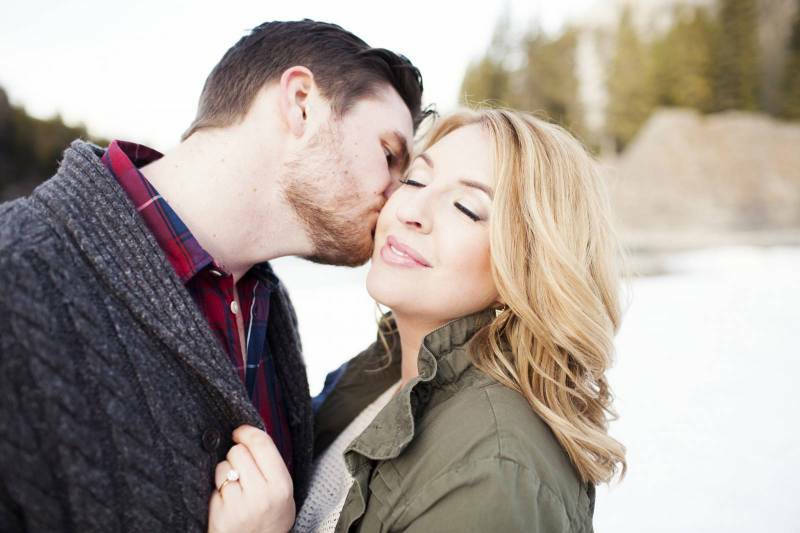 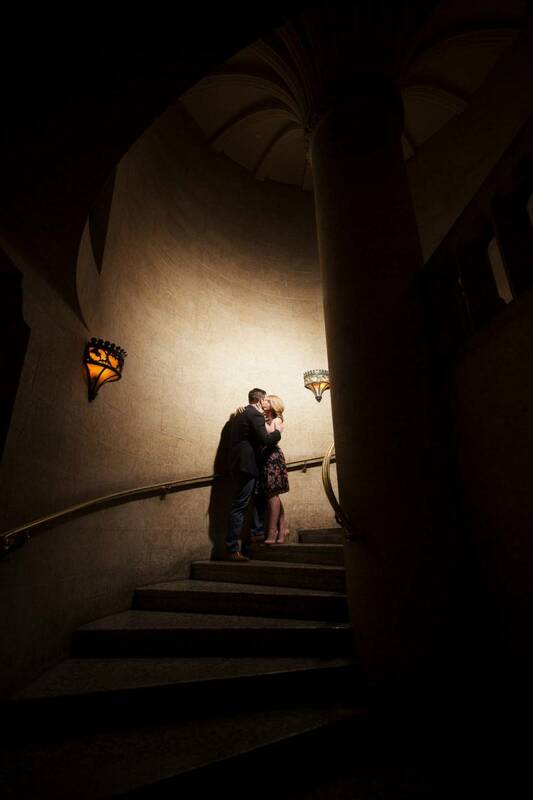 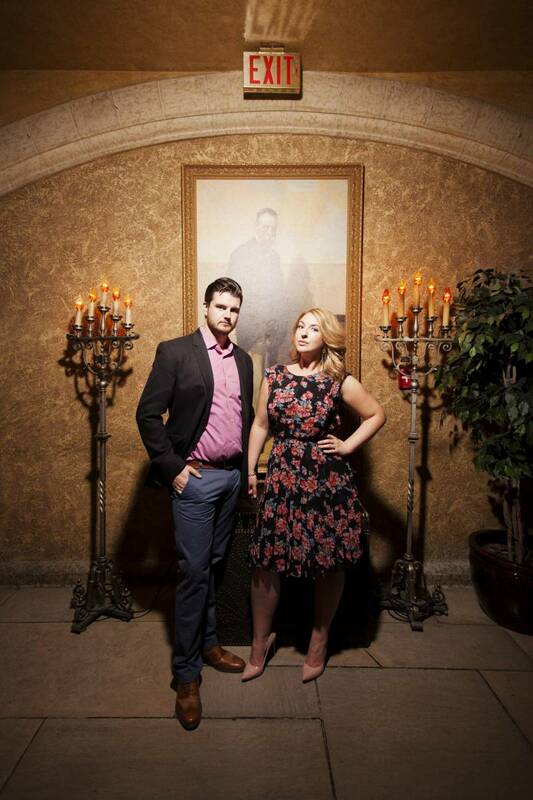 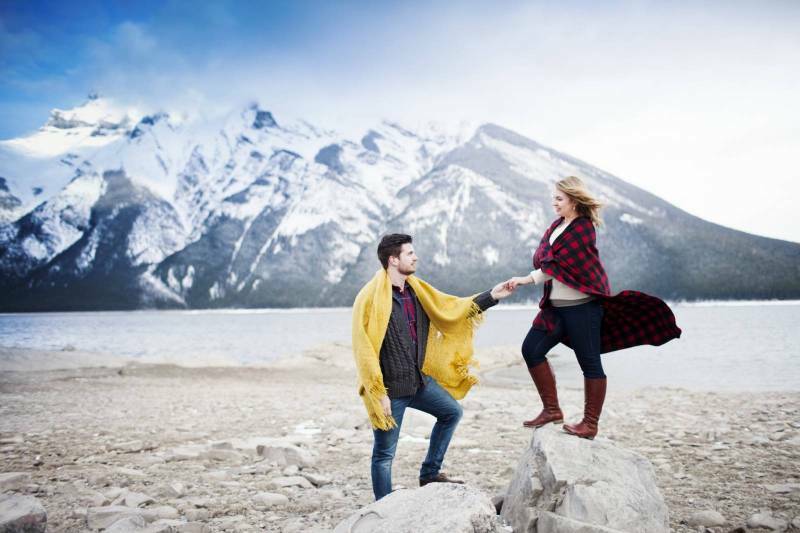 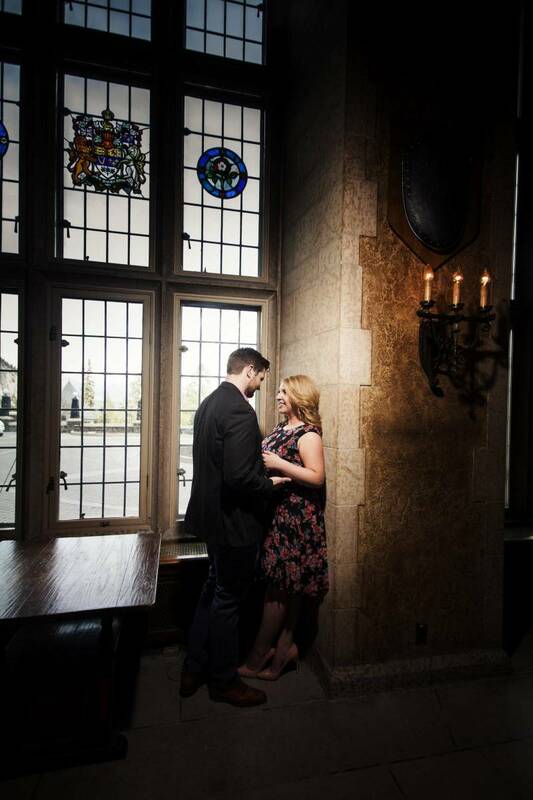 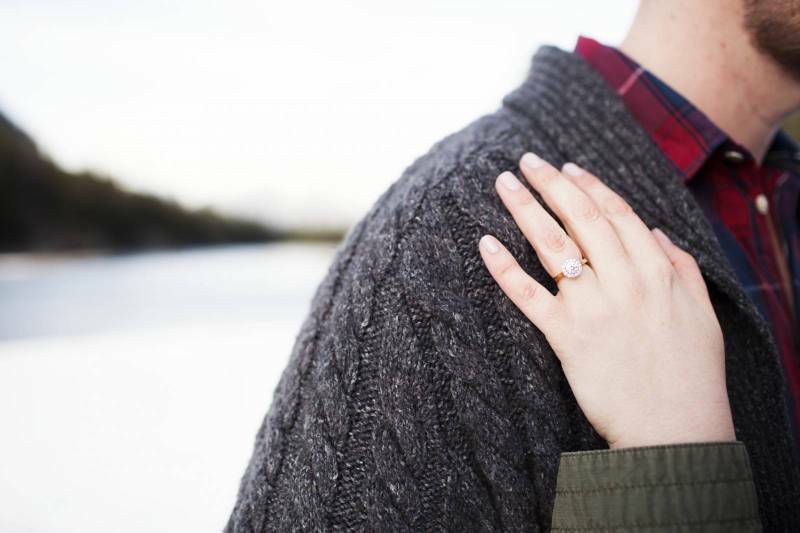 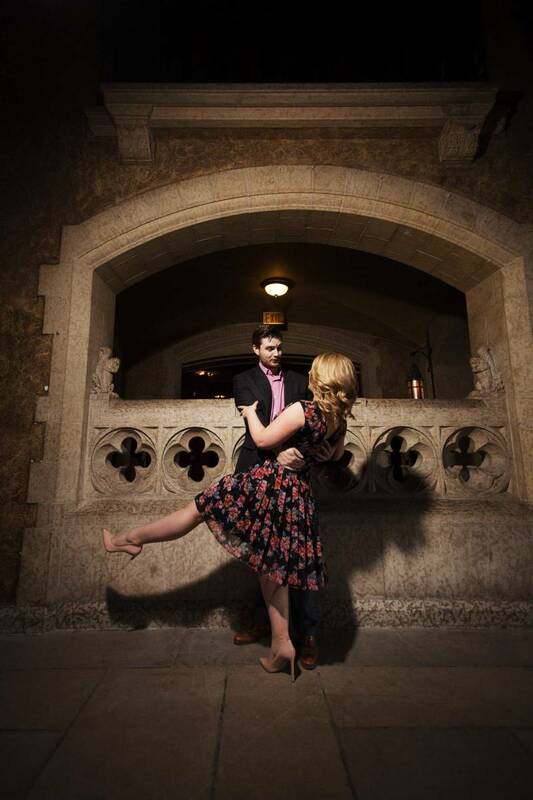 Looking for more inspiration for your own Banff engagement session or Banff wedding? 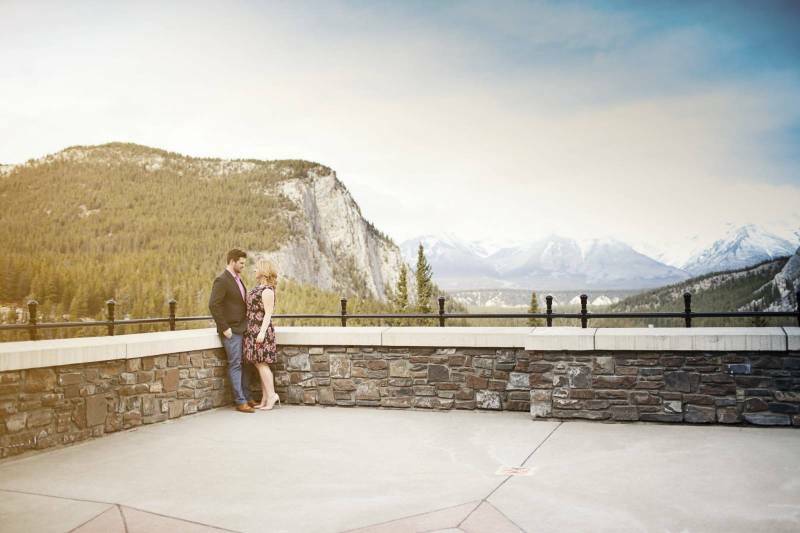 We have pages of amazing photos and vendors throughout our Banff wedding section, we hope you find great inspiration and ideas!